It started with a discussion regarding an Israeli friend (and IDF soldier) and about how he believed that the Israeli Iron Dome missile defense system not only saved thousands of Israeli lives, but that it also saved thousands of lives of the people living in Gaza as well. Well, his response was that if all of the missiles that were launched at Israel were to have hit their targets, rather than being intercepted by the Iron Dome, then Israel's response would have had to be more immediate and destructive (to Gaza) in order to stop those attacks. So, by having the technology of the Iron Dome, Israel could in fact have more time to address the war with Gaza in a less severe manner then they might have if they didn't have that technology. I advocate that our Ethics must drive our Tactics, which then dictate our Techniques; rather than having a cool new technique (or technology) and then after using it, trying to determine if it was the correct tactic reflecting the best ethic. During this conversation I related to the technology and quickly saw that it could also be equated to a person's skill level. Meaning that if we have clarity of ethic along with the confidence and skill (or technology), we can (hopefully) strive to be less violent. As I have said to many people in my classes and seminars, "I haven't trained in martial arts my whole life to be MORE violent. I train to hopefully have a better chance of managing conflict with LESS violence." Some of the nicest people I know are also the most deadly. I remember the first time I met Brazilian Jiu Jitsu & MMA legend Rickson Gracie. He was the friendliness, most polite guy in the room. When you have the right ethic, are confident and really good you can afford to be the nicest, most respectful person in the room! The same can be said for technology and countries. Let's strive for most good, least harm for everyone. This inspires me to train, teach and grow. 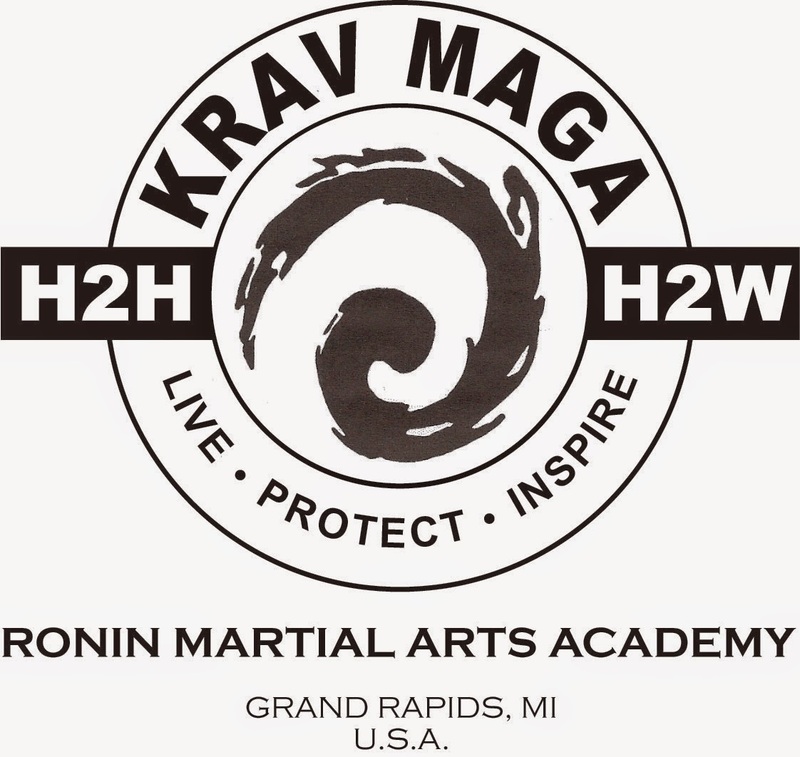 The year began with teaching a seminar with Israeli Krav International's Moshe Katz here in Grand Rapids. Once again Moshe came all the way from Israel to share IKI Krav Maga with everyone who wished to learn here in the U.S. while I taught conflict management skills between the physical defense sessions. Don't worry if you missed it, we are having another session on February 6th, 7th & 8th 2015 once again here in Grand Rapids, MI. Click here for info and registration. I had a few overseas security gigs in Thailand, China, Hong Kong & Zurich that sounded alluring, however as it often happens with those types of projects, they didn't work out. =( Oh well, maybe next time. I am really hoping to start going someplace warm for a few weeks in the winter to break up the winter. Something to aspire to next year! 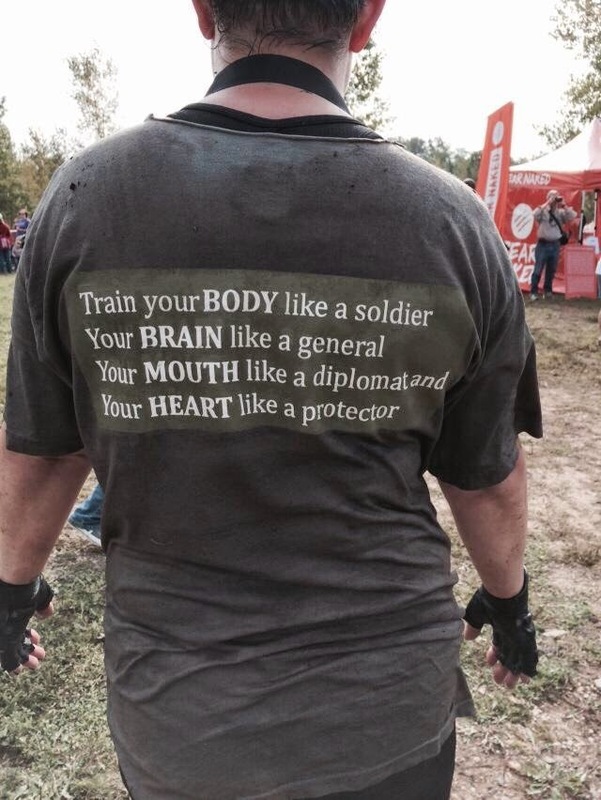 Gladys sporting one of our newly designed T-Shirts at one of her many mud run courses! 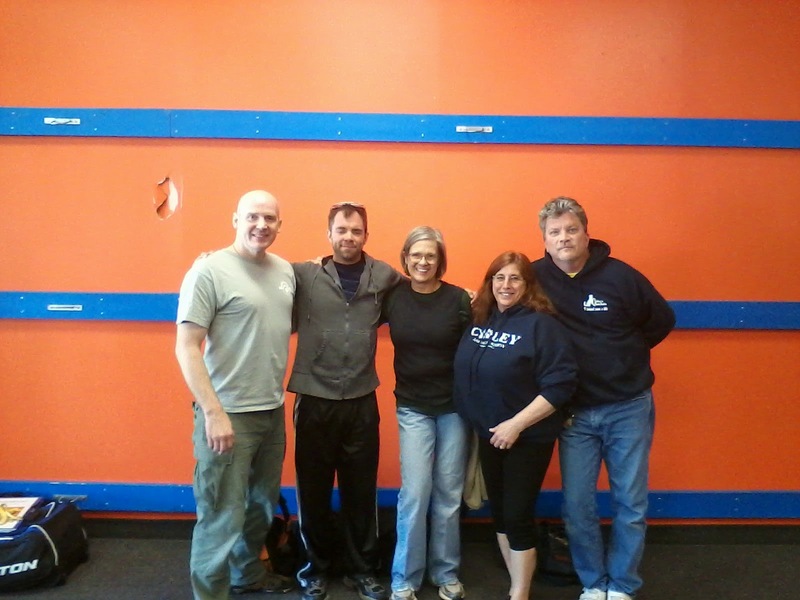 The monthly Krav Tactical Seminars went well again. Including the popular Summer Bootcamps. Once again if you missed them no worries, keep an eye on our 2015 calendar here for some exciting additions to next years line up! 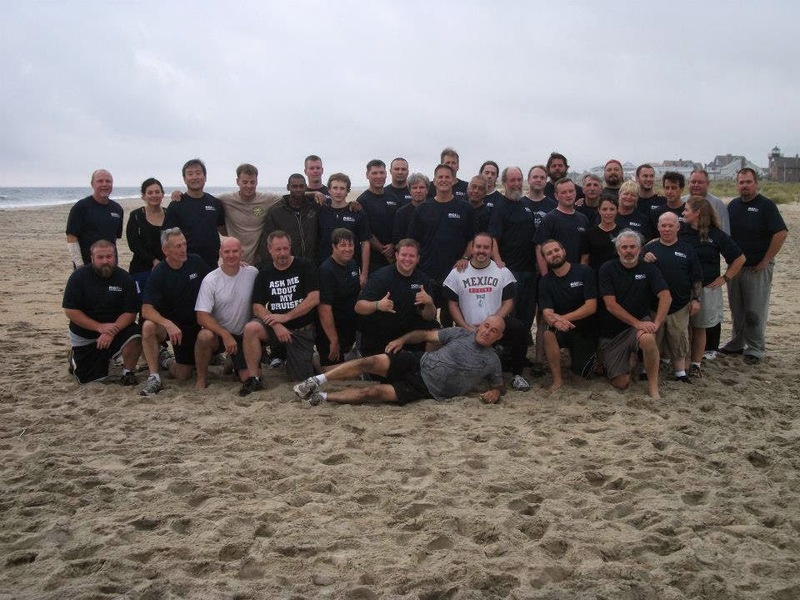 The PeaceWalker Project and Krav Maga Tactical Seminars lead me to work with many organizations this past year: Police Departments, churches, health care facilities, service providers, schools, non-profits and other organizations this year from all over the U.S. ranging from numerous locations in Michigan, Florida, Illinois, New Jersey, Indiana, Ohio, Georgia & Kentucky. Finished the year with 126 workshop, speaking engagements and trainings not including my regular ongoing Krav classes or private lessons. 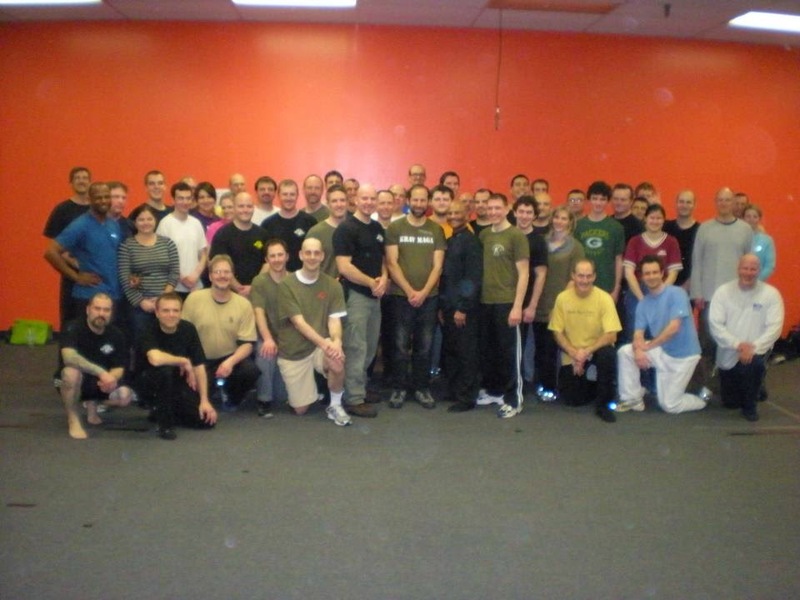 Speaking of Krav Classes: It was another great year of Krav-lishous-ness! On-going classes kept us going and the seminars took us over the top. Thanks to our assistant instructors: Andy Veen, Marc Specter & Chris Cohee. I appreciate ALL of your help when I'm on the move and can't be in class! It wouldn't be the same without you guys! And also a big hand for the three guys who are being trained to be assistant instructors as well: Ryan Ruffini, Todd Hendricks & Larry McDonald. I'm looking forward to working together this year. 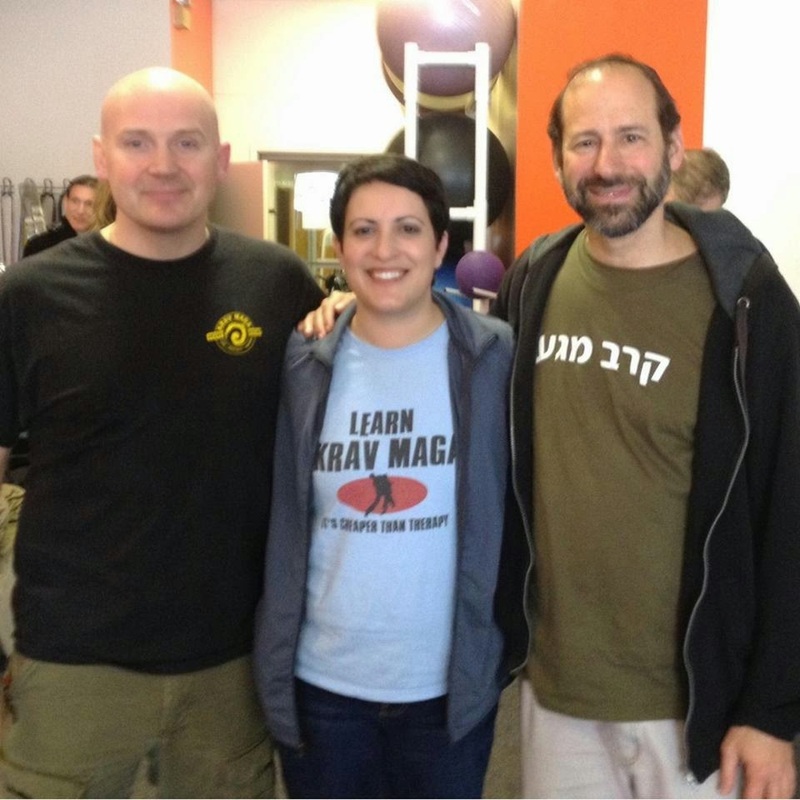 Two grueling Krav tests! 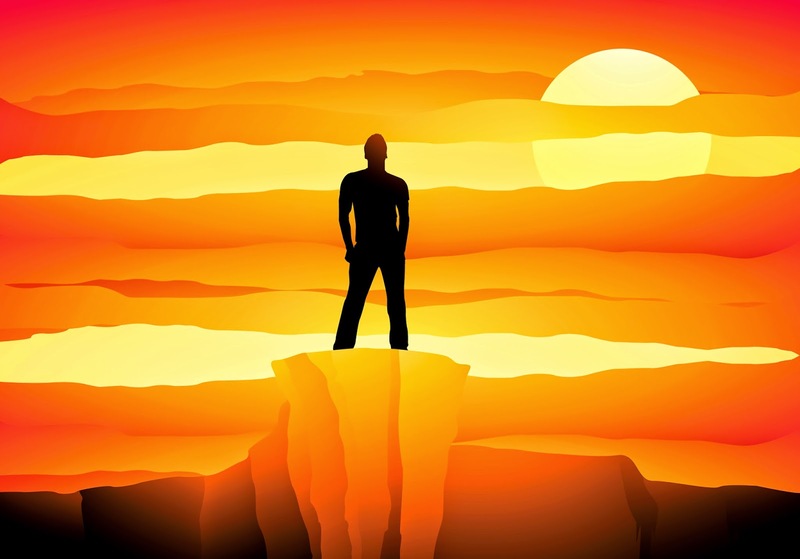 Congrats to all who tested their limits and succeeded in showing themselves that they can go further, dig deeper and protect more clearly than they thought possible! And as usual, Jack Hoban's Resolution Group International was kicking as well! 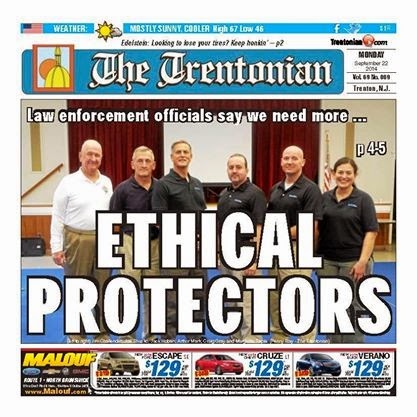 We instructed two, three day trainings out in New Jersey and worked with over a dozen and a half Police Departments, Parks Service, educators, some military units and other miscellaneous protectors from other walks of life. We are making head way in many areas and looking forward to what 2015 holds as well. 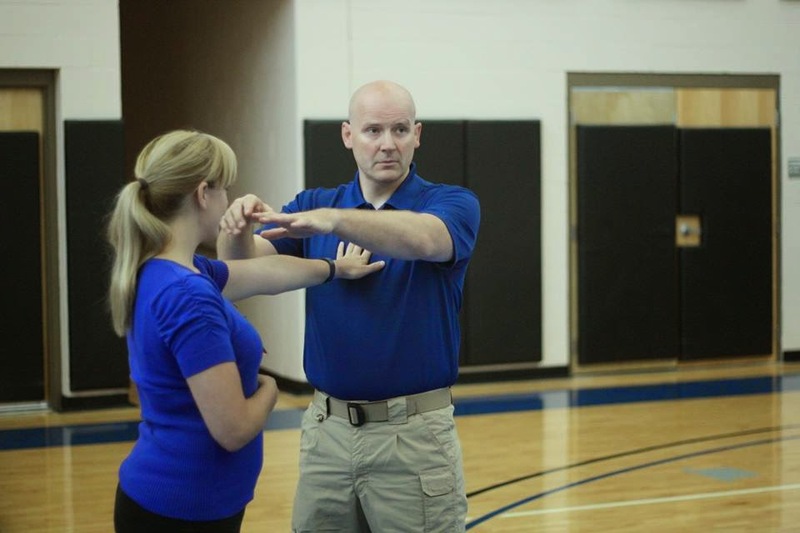 In October I went down to Kentucky to get my Verbal Defense & Influence Advanced Instructor Certification. We (RGI) are affiliated with VDI, so we cross train in each others courses. Special thanks to Gary Klugiewicz of VDI. 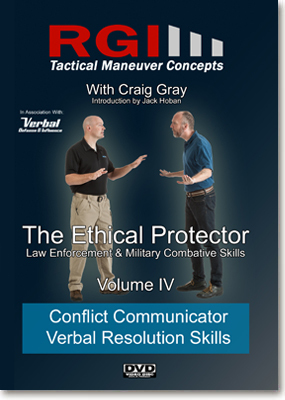 But didn't stop there, we produced not one, but TWO RGI DVD's this year: Volume 3 - Ground Defense and Volume 4 - Conflict Communicator. The last part of the year was truly a whirl wind! 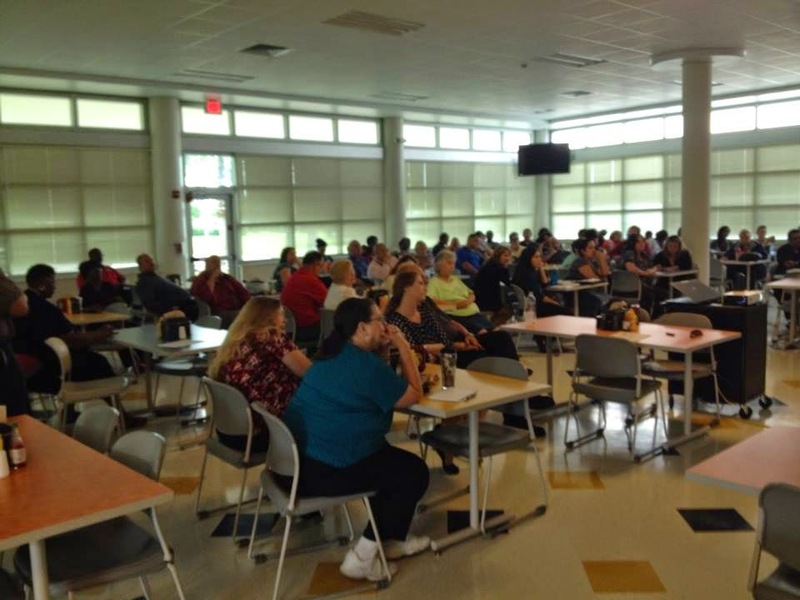 Seminars with the Sheriffs Dept. 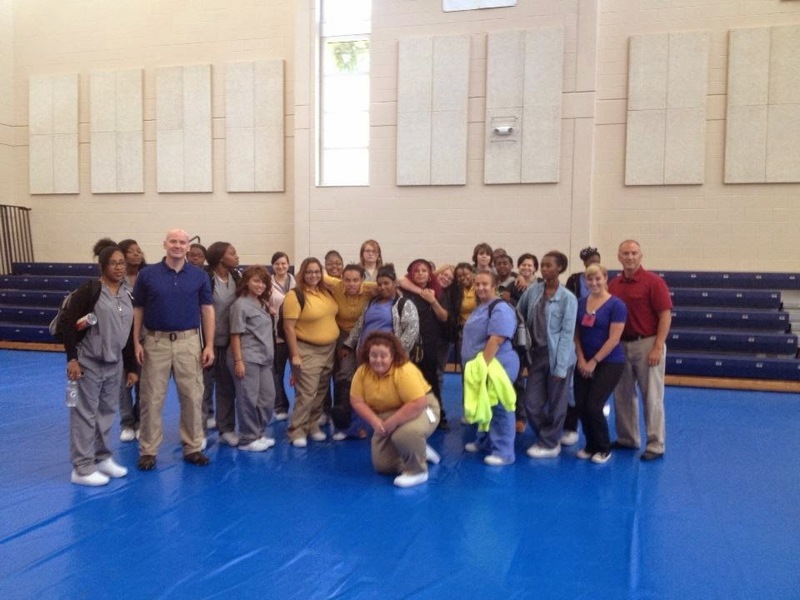 Traffic Squad, DTE Energy, Volunteer work with the Job Corps, Susan G. Komen For the Cure West Michigan and many others! Amidst all of this I took quick trip to Japan to do some training and touring! Great trip! And to finish my year off with a bang!? I had much needed and overdue elbow surgery, which is going fabulously. 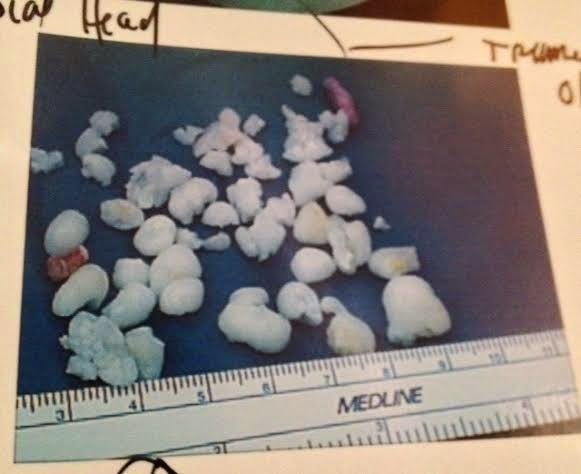 Here's some of the stuff they removed from my elbow below (not including the bone spurs). Had surgery late last Thursday, cast came off Sunday and I am ahead of schedule for healing already! I already have more range of motion than I've had in over two and a half years! Good, because it took me about 9 months to plan the down time and schedule all of my other engagements around the procedure. I'll be back better than ever in a couple more weeks! Well, I know much more has happened than that last year, but those are the highlights! So what's for 2015?! Well, A LOT!! I should have my forthcoming book ready for editing and soon after release. I have at least 5 SUPER SEMINARS on the horizon which will range from Business applications, Krav Maga, Conflict Management and Leadership. Of course there'll be some RGI Events in there as well as other seminars and trainings. I'm excited to be working on some cool new collaborations with some new people in 2015 as well! So Stay Tuned!! 2014 was just a warm up! My wish for all of us is to see beyond our own boundaries, our own emotions and our own ignorance. To see that Everyone's Life is to Be Respected and Protected the best that we can. Live beyond our own groups, our own color, our own ethnicity, our own class, our own country, religion, values or beliefs. Please listen closely: It hurts us to hurt others and the only ones that can do this, that can accomplish bringing more peace to our world is each and every one of us, together. Period! So while we're waiting for everyone to figure it out, stop hating and start clarifying. Stop reacting and start training to respond to the ACTIONS without all of the hate, demonization, polarization, and dehumanizing. Let go of the fear: The fear of not being enough, or the fear of being everything. The fear of not saying something or saying too much. Of not DOING something or of DOING too much! And I'm not talking violence here, that's easy. I'm talking about love and respect. How can you more clearly communicate LOVE and RESPECT? Especially to those you don't like, you don't trust, you fear! It takes guts! Skill! Clarity! And you have to be GOOD! So...What are YOU DOING?! Get off facebook and make a difference by what you do and who you are. And for God's sake work on some skills! It'll help! Protect Life when needed and remember that violence begets more violence, so when you must do, DO, but strive for most good least harm for all as best as you can. Today's enemy can be tomorrow's ally. And that "enemy" might not be as foreign as you think! I'm sitting here at Rowsters Coffee in a Jet Lag haze, trying to re-adjust my body to being back in the U.S.while I reflect on my trip to Japan. Great trip: Meeting new people, training, experiencing different interesting things, eating, walking, spending time with friends, getting away for a little while. A lot to process. Things that I will be unraveling for a time to come. Taking the train, both confusing yet convenient... and entertaining! Saw this cat on the way to the Bujinkan Hombu. 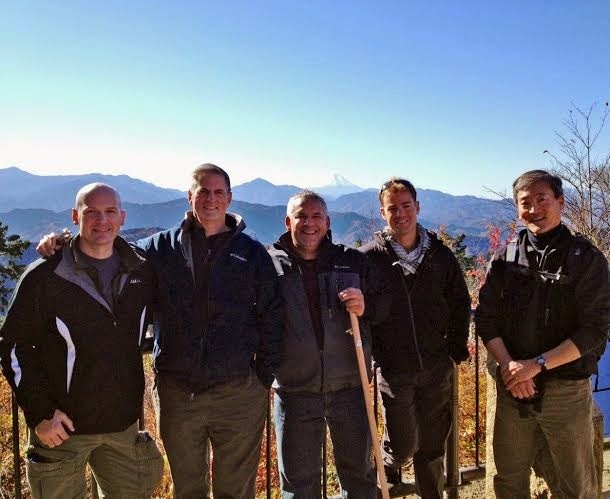 Good friends, a bowl of Soba, a bottle of Kirin and a view of Mt. Fuji...Great day! Another Shrine on my last day in Japan. We packed a lot into a week. Much more than these pics show. Many cool experiences, conversations and epiphanies. Japan's a great place to visit. I'm already looking forward to my next trip there. I'm sure a lot of insights from the trip are yet to surface in the future, but until then I'll just Keep Going! 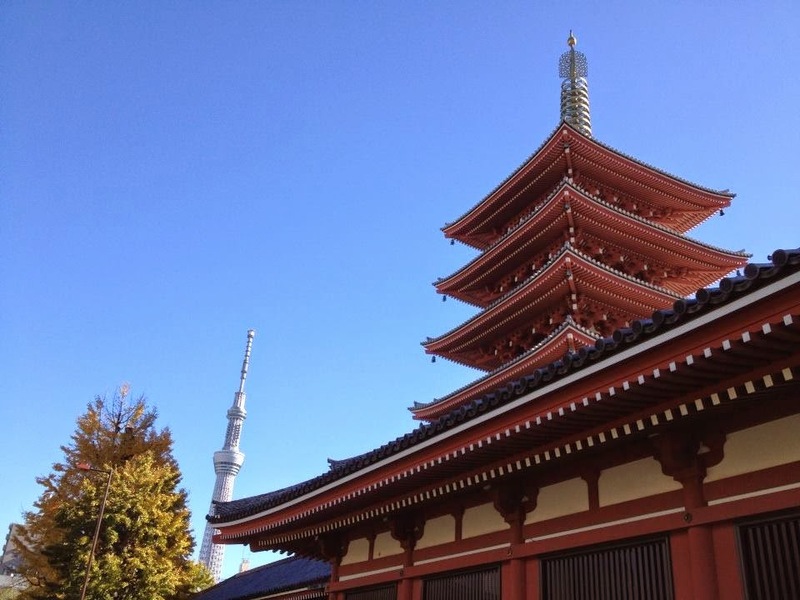 Tokyo, Japan - Sensoji Temple & the Sky Tree (the largest tower in the world). 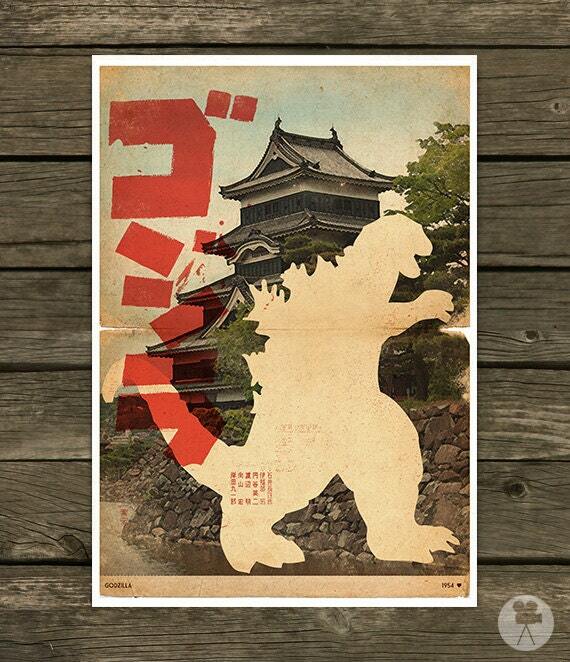 I had a great time stomping around Tokyo. A friend of mine said that Japan is a land of contradictions and after only being here a few days I can see the truth of that statement. As you can see from the picture above, and new seem to blend and clash, ebb and flow into a tsunami of cultural shifts for this rather homogenous country. I find this to be the cleanest, safest feeling, most polite country that I have traveled to yet. I was however surprised how it lacks diversity in its population. Everyone is... well, Japanese. I really didn't think about it, but I guess I was expecting more ethic variation, but I haven't seen any, even in their super city, Tokyo. Although it seems as if only indigenous Japanese live and possibly for the most part even visit (other areas) here, you do see a lot of commercial globalization abound. They are very attune to Western fashion and consumerism, yet seem to have their own spin on everything. It's a hybrid society that is very modern in some ways, yet in others, steeped deeply in their cultural traditions. Very interesting place that I have enjoyed immensely and would recommend to travel to if you ever have a chance to go!